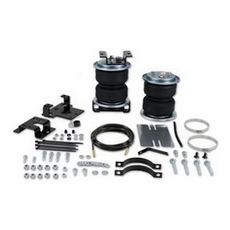 The part number for this Air Lift LoadLifter 5000 Ultimate Air Spring Kit is 88275 and it fits 2001-2010 Chevy Silverado, GMC Sierra 2500HD & 3500 1 Ton Pickup models. NOTE: Fits single rear wheel (SRW) and dual rear wheel (DRW) models. Will fit most side mount fifth wheel hitch applications. Does NOT fit cab & chassis applications. Does NOT fit Quadrasteer applications.